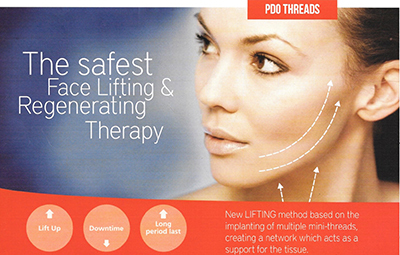 IT PROVIDES AN IMMEDIATE LIFTING EFFECT WHILE FAVOURING NATURAL COLLAGEN PRODUCTION. 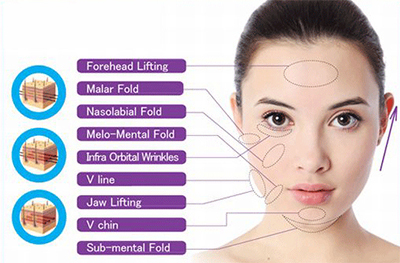 IT IMPROVES THE APPEARANCE OF MINOR WRINKLES, NASAL WRINKLES AND LOOSE SKIN. TREATMENT IS FAST (15-30 MINUTES) SAFE AND PRACTICALLY PAINLESS. 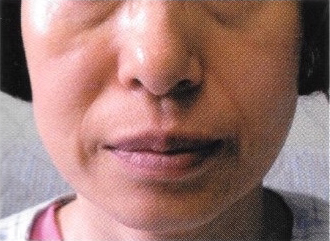 IT IS A WALK IN- WALK OUT PROCEDURE AS IT ONLY REQUIRES LOCAL ANAESTHETIC, THERE IS NO NEED FOR HOSPITALISATION. 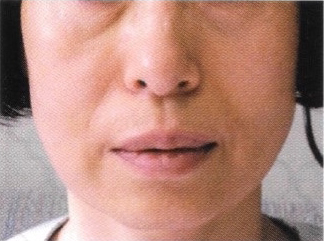 THERE IS NO DOWNTIME OR RECOVERY PERIOD, THE PATIENT CAN RESUME HIS DAILY ROUTINE IMMEDIATELY, EVEN APPLYING MAKE UP. 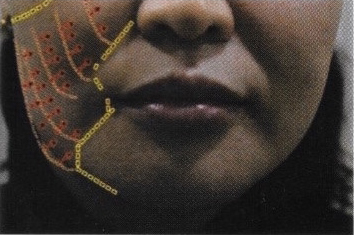 A cosmetic procedure that lifts and realigns sagging tissue while adding definition to facial contours by using absorbable 'PDO threads' THESE ARE EXTREMELY SAFE THREADS USED IN HEART SURGERY! THEY ENHACE TISSUE COHESION. 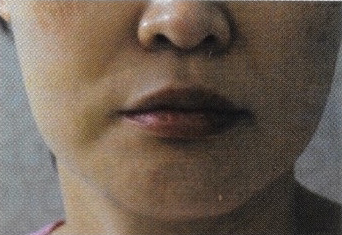 This procedure helps to reposition sagging cheeks, lift eyebrows, correct the marionette line, support the neck and improve facial features. 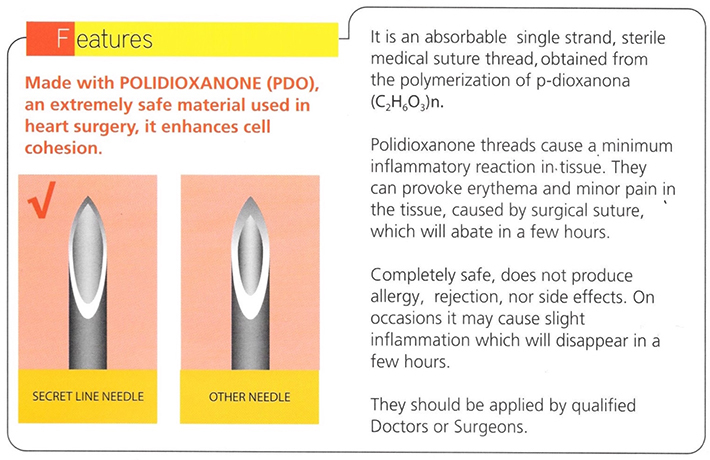 Thread lifting is generally well tolerated with local anaesthetic and oral sedation. Occasionally intravenous sedation is used to add to patient comfort or assist in longer procedures where more than 4 threads are implanted. A standard procedure takes approximately 30-60 minutes. the patient remains under observation for 1 or 2 hours after the procedure before going home. Your suitability and possible side effects / adverse reactions will be discussed with you at the consultation appointment with the doctor. Cold ice compresses are recommended for the first 2 hours after the procedure. Sometimes soreness or light pain can occur, which can be treated with oral analgesic.